Column Designs manufactures top quality display pedestals from ABS & PVC plastics that are white and have been stabilized for Ultraviolet light, so they do not 'yellow' or become brittle. The craftsmanship in our display pedestal products are second to none and are lightweight but durable so they can withstand constant use. 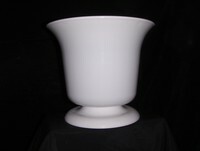 Column Designs display pedestals will display your products while adding to their assets. 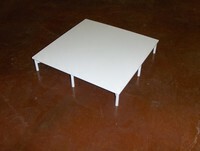 Our display pedestal line is made to accent your products and entice your customers to buy. 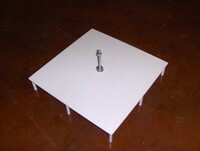 Since our display pedestals are made to order, you can get them in a huge variety of size (24 inches - 11 feet). Whether you are looking to permanently or temporarily install our display fixtures in your storefront or at your display booth at a trade show, they will be very versatile and durable. 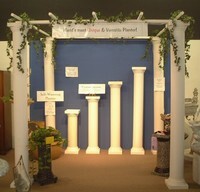 Check out our complete line of display columns, display props, wedding columns, decorative columns, plastic columns, and display columns too! 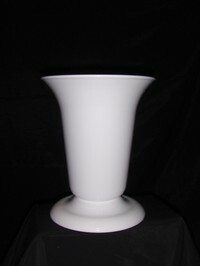 Our decorative columns will enhance the look and appeal of your products.